Following the success of the Rue Morgue 2011 Fear Festival's meet & greet autograph sessions with non stop line ups of Frightenstein/horror fans, Mitch was invited to co-star with Oscar award winner Vanessa Redgrave in Rodrigo Gudino's (Publisher of Rue Morgue Magazine), Rue Morgue Cinema's new horror/supernatural feature film, The Last Will and Testament of Rosalind Leigh. This film premiered at the 2012 Cannes Film Festival followed by a worldwide tour garnering numerous film festival awards. 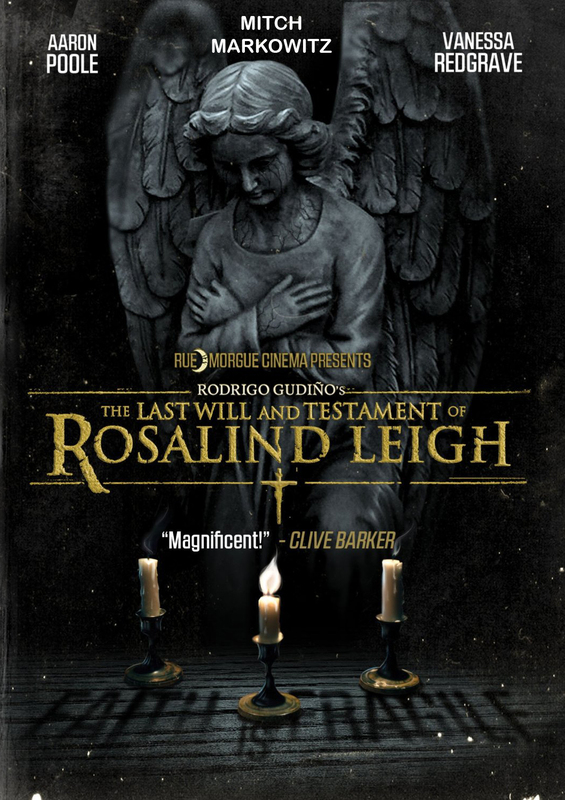 Rosalind Leigh opened nationally May 9, 2013 in Canada at Cineplex's new, Sinister Cinema events followed by an American and international DVD release. The films trailer featuring a portion of Mitch's voice over part has logged in excess of 500,000 YouTube hits (all sites combined).